Pam Schiller, Ph.D., is a freelance early childhood author and consultant. She is Past-President of the Southern Early Childhood Association and Texas Association for the Education of Young Children. She served as Head of the Early Childhood Department at the University of Houston, where she also directed the Lab School. Pam is a highly sought after speaker and has given numerous presentations for organizations such as the National Association for the Education of Young Children, the Southern Early Childhood Association, Association for Childhood Education International, and the International Reading Association. 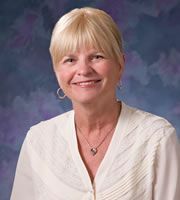 She has written numerous articles for early childhood journals, including Child Care Information Exchange and Texas Child Care Quarterly. Pam is the author of five early childhood curriculums, eleven children's books and more than thirty teacher and parent resource books.